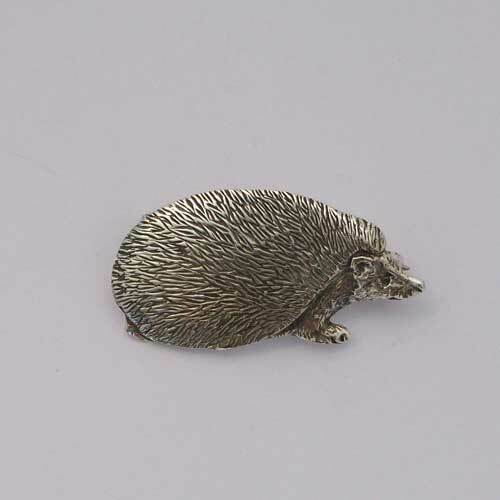 Hedgehog brooch in sterling silver. Design by John M Hart. Handcrafted in the Hebrides by Hebridean Jewellery.